Glossy Clean - is local, trusted, family operated home cleaning company based in Strongsville, Ohio, serving customers in Cleveland area. If you're like a lot of people, then you probably have a million reasons why you'd want to hire a reputable house cleaning Cleveland service. You may not have the free time required to keep your house as sparkling clean and organized as you'd like thanks to career and family obligations. What's more, household chores hardly constitute the way you'd like to spend what free time you do have to yourself, right? That's where having the right service on speed dial can really help you revolutionize your life. However, it's important to realize that not all house cleaning Cleveland services are created equally. Let's take a closer look at how you can make sure you're investing in the right choice for you. Don't let the dream of having someone else handle every aspect of cleaning your home find you cutting any corners. The right cleaning professional should have all of the following qualities to offer if you're to truly get your money's worth. A good house cleaning Cleveland service will have a stellar reputation that truly precedes it. Look for an option that already has Cleveland locals singing its praises. After all, cleaning houses to impeccable standards is far from easy work. Hold out for professionals that have managed to truly impress their clientele and have the consumer feedback to prove it. When you're looking to house cleaners to help you keep your home in good order, you need to be able to count on them to start and finish the job according to a strict schedule. Look for professionals that have a good track record for performing tasks according to strict time requirements, the better to fit into your already busy life. Of course, house cleaning Cleveland services that are worth seriously considering will reflect value in every sense of the word. If you can't afford it without compromising your ability to pay the rest of your bills, it's a no go! That said, look for options that bill according to a system that will truly work for you. Some services bill by the square meter or inch. Others will offer you alternatives that involve monthly or yearly contracts. Whatever you decide is best for you, make sure that you're getting a good overall value for your dollar as compared to other local options. House cleaning Cleveland companies that are truly worth their salt take their businesses seriously in a way that's verifiable. This means that they have high standards for the individuals they employ. All workers should be not only fully licensed and trained, but bonded as well. This ensures you that they will take proper responsibility for anything that could possible go wrong while they're on the job. Last but not least, it's important to know who provides the house cleaning Cleveland service you choose with their equipment. Some will expect the home or property owner to provide the professional with cleaning equipment and supplies to use. However, it's often better to go with an option that includes up-to-the-minute modern equipment owned by the company itself. Look into this before signing on the dotted line to avoid any unwelcome surprises. When it comes the very best house cleaning Cleveland services available, you simply can't beat Glossy Clean. Our customers are our number one concern when it comes to our comprehensive services and it shows. We provide a variety of high quality house cleaning services to suit your needs. These include one-time, monthly, bi-weekly, weekly, deep, move-in, and move-out options. We also provide specialized options for apartment and condos. We do seasonal and spring cleaning as well! Our services are 100% satisfaction guaranteed. If at any time you aren't fully satisfied with the work we do for you, we'll be happy to do whatever is necessary to make you happy. 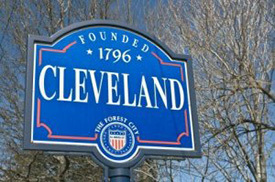 We provide comprehensive house cleaning Cleveland services to a wide range of surrounding areas. They include but are not limited to Avon, Brecksville, Maple Heights, Northfield, Rocky River, Strongsville, Westlake, Edgewater, Brooklyn, Akron, Bedford, East Cleveland, Fairview Park, and Parma Heights. We complete jobs using only environmentally conscious products, equipment, and practices. This means you can feel good about hiring us to help you keep your home clean, beautiful, and perfectly maintained. We offer free on-site estimates to ensure that there are no surprises when it comes to your costs. Contact us by phone or email today for more information or to make an appointment. In other words, Glossy Clean is the name to beat when it comes to house cleaning Cleveland services for a reason. We go the extra mile to do flawless, exceptional work 100% of the time. Experience the difference for yourself today! Copyright (c) 2019	GlossyClean.com. All Rights Reserved.